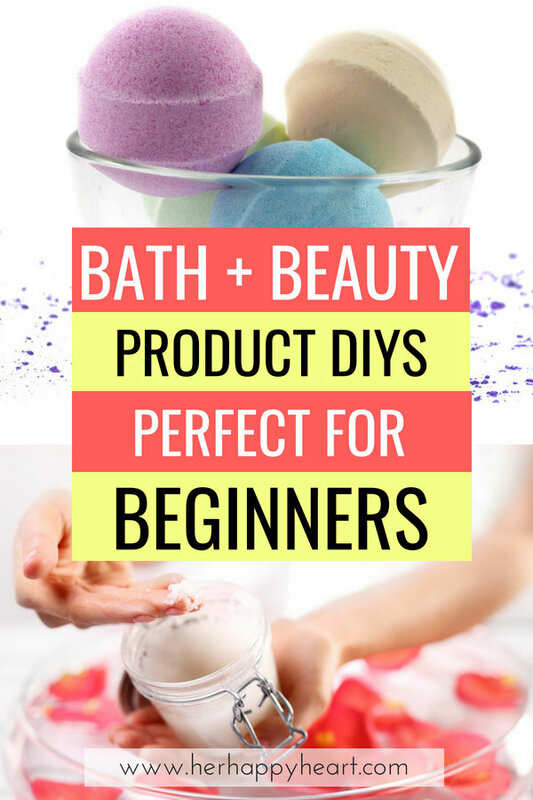 I am crazy about bath and beauty product DIYs. I mean, I love the non-DIY ones (with natural ingredients) too. Just breathing deeply in the vicinity of my local Lush shop brings me back to when I was 16 and sitting on their powdery floor in a group interview for a job I was sure would change my life. I didn’t get the job, but that didn’t stop my teenage self from shelling out every last disposable dollar I could on their luxury bath and beauty products. Now that my income is a little less disposable, and a little more we-need-this-money-to-live, Lush purchases are an occasional little treat. But that doesn’t mean I have to deny myself the wonder of natural bath and beauty products! Thanks to Pinterest, DIY options are endless (and so. much. cheaper.). 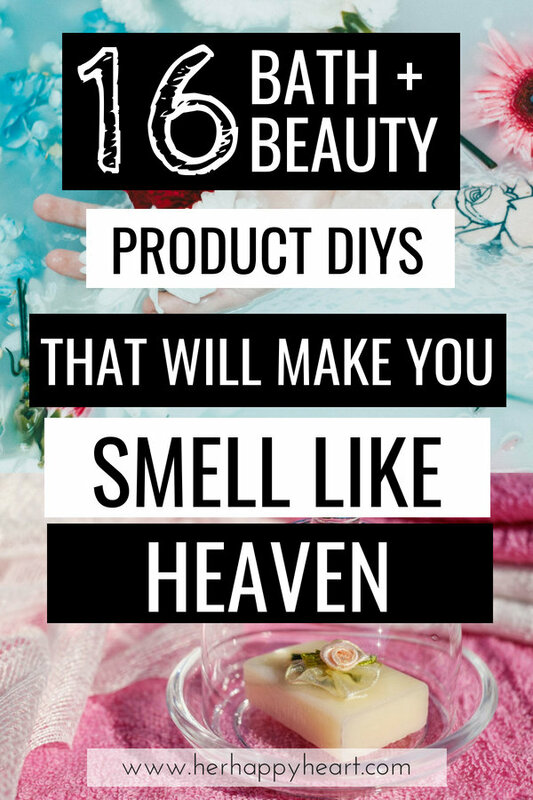 I’ve curated my absolute favourite bath and beauty product DIYs that will make you smell so good, you’ll be that weirdo sitting on the train, sniffing your arm. Worth it. 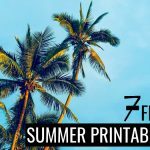 Plus, it goes without saying that all these DIYs would make absolutely gorgeous gifts for your friends! 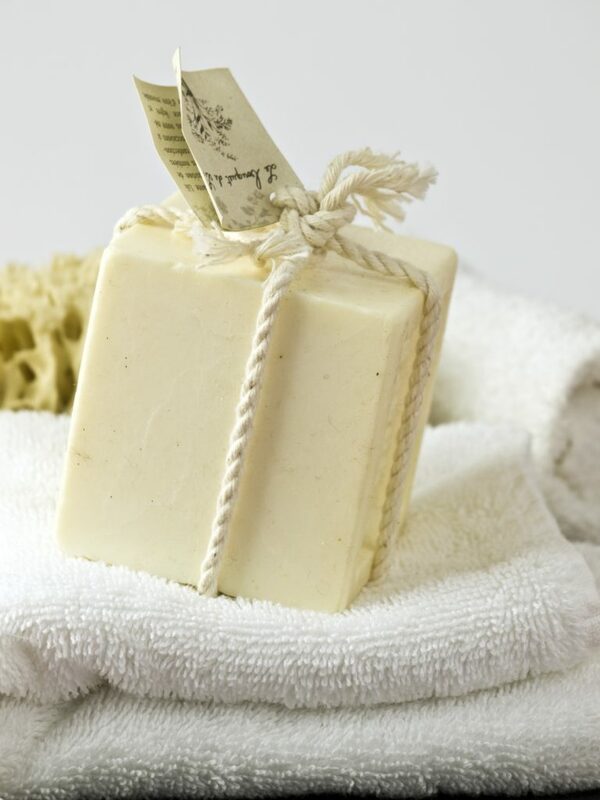 #Note: For bath and beauty product DIYs that include essential oils, ALWAYS use 100% pure essential oils. Many commercial oils have alcohol and other chemicals added in, and these do nothing for your health. For more information on essential oils, check out our introductory post on the 10 best essential oils for beginners. All set? Check out these lovely beauty DIYs, and let me know in the comments which one you’re going to try first! 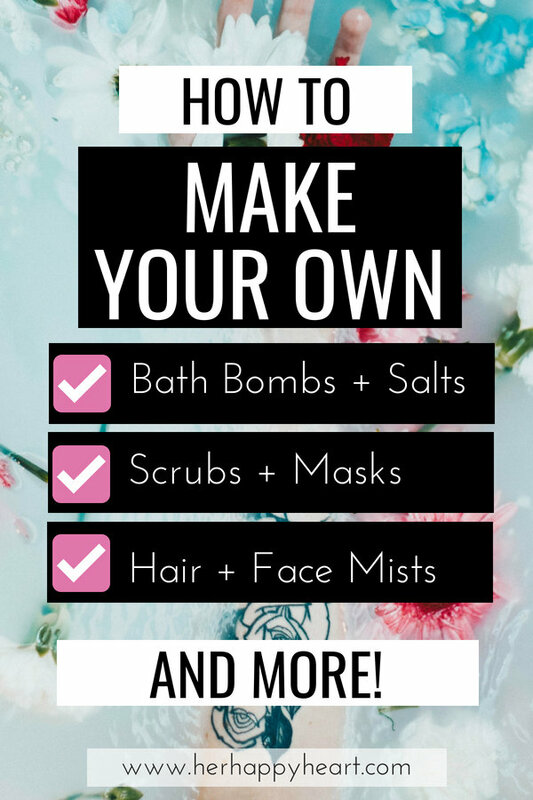 Store-bought bath bombs may have peaked in the early ‘2000s but DIY versions are, well, the bomb! 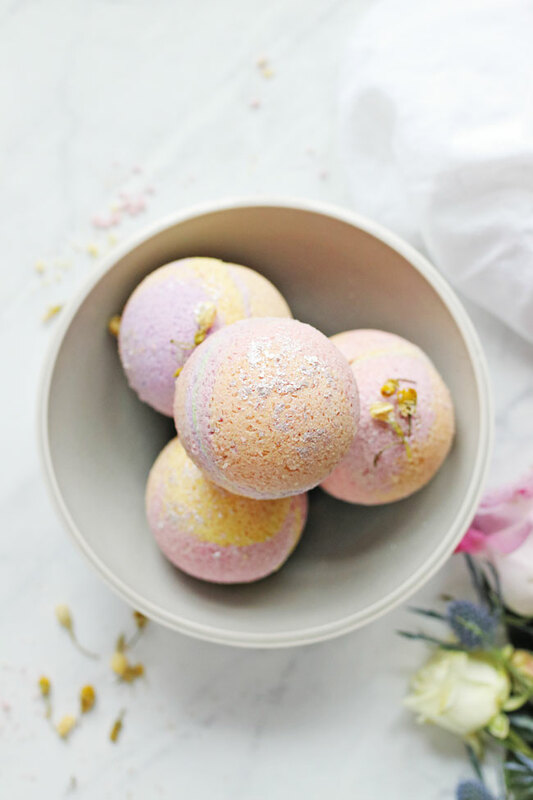 I love all things coconut oil, forever and ever and amen, so these coconut oil bath bombs are top of my list to try! Feel free to hunt down other versions and experiment away! Just search for “DIY Bath Bomb” in Pinterest and you’ll stumble upon hundreds of luscious options. Uh, yum. I’m currently working my way through an insanely delicious popcorn lip scrub I bought at the Lush post-Christmas sale, but after that… I’m whipping up this delicious scrub. I’m weirdly obsessed with fixing my dry lips. I think it stems back to my days as a trombonist in high school. Yes, a trombonist. This simple hair mask is ultra nourishing, and you almost definitely have the ingredients already. 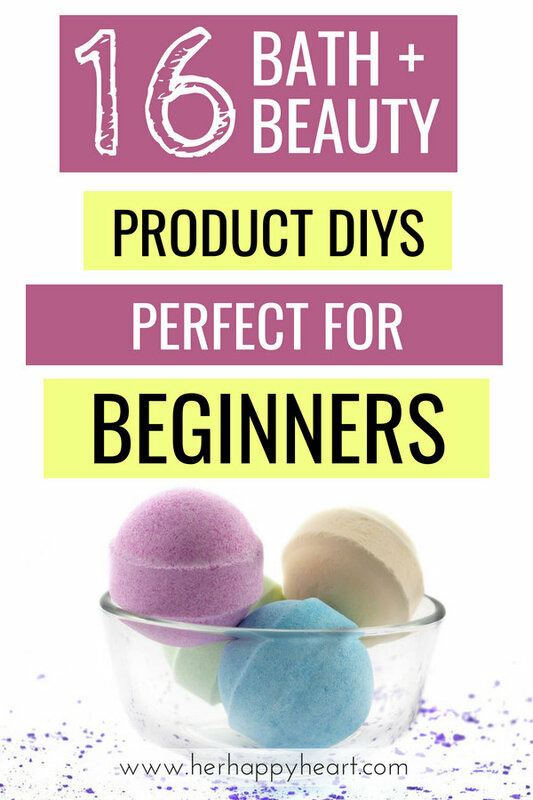 One of the easiest bath and beauty product DIYs EVER. For other DIY hair ideas, check out my easy & budget-friendly hair care tips. 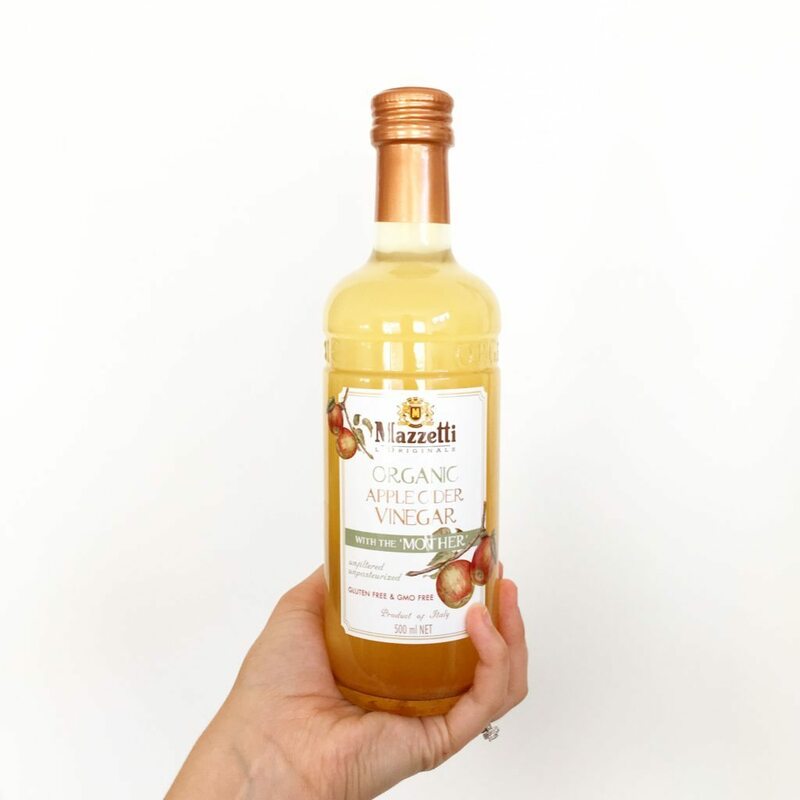 Tahlia’s tips on using apple cider vinegar for skin and hair care is one of our most popular beauty posts ever. And it’s easy to see why: apple cider vinegar is easily available from your local grocery/health food store, and its health benefits are remarkable. Get the run-down here. Holy wow. 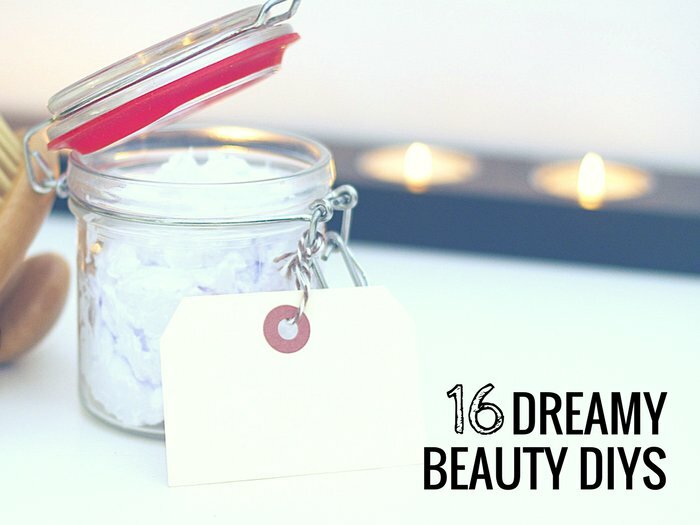 When I found this stunning DIY scrub, I actually gasped out loud. Chocolate?! Mint?! Sugar?! All over my skin?! Yes please! This scrub has an awesome 6-month shelf life, which means even the most time-poor ladies won’t be able to let it go to waste. This one’s for my fellow dry skinned ladies. This nourishing DIY face mask is big on moisture, and the ingredients are all backed up with evidence. Plus, they’re actually some of my favourite ingredients to eat, so I basically want this mask on my face all. The. Time. Simplistically Living’s Raspberry Lemon Lip Balm is bound to have you licking your lips constantly, and needing to whip up new batches. Good thing it’s so easy to make! This stunning DIY from Hello Glow makes my heart skip a beat. Shower steamer tablets are perfect for those times when you can’t just lie in a tub and soak for half an hour. Simply pop one on the floor of your shower and let the steam do the work! And I love her idea of popping a few in a jar and gifting them to a stressed-out friend. The benefits of rose water for your hair are HUGE. So not only does this easy DIY hair mist smell gorgeous, it’s mega good for your lovely locks too! 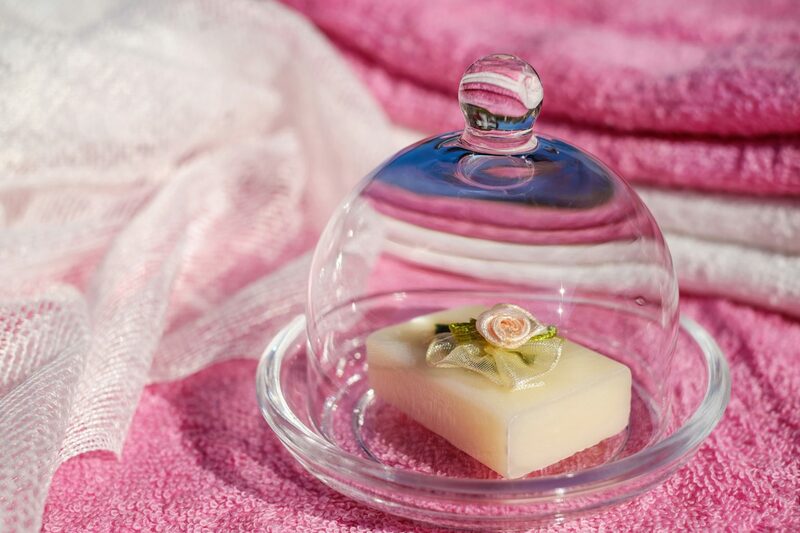 Bonus: If you don’t have rose water, here’s a handy DIY to make your own! Oatmeal and milk are both known to be super soothing for sensitive skin, so combining them for an ultra nourishing bath is a no-brainer! 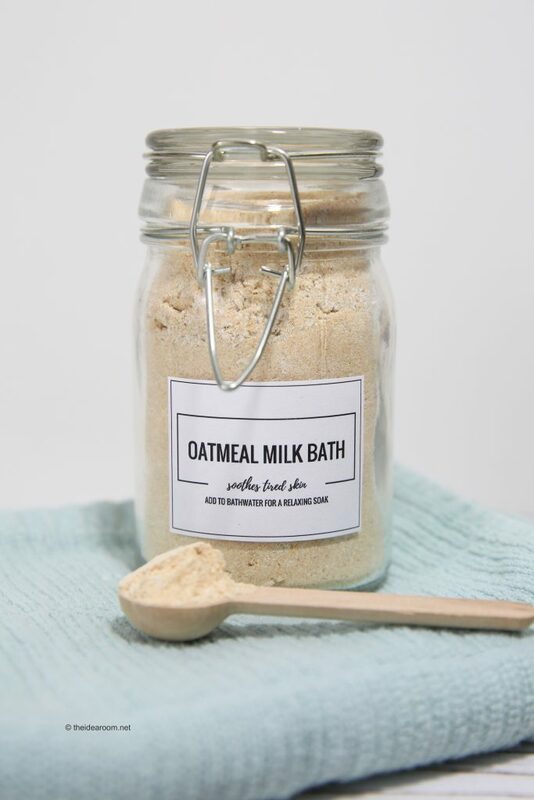 This DIY oatmeal milk bath recipe from The Idea Room is simple to make and so good for you, so get soaking! Nothing in the world is more refreshing than mint, making this cooling face mist a perfect addition to your morning routine. Keep it in the fridge and give yourself a quick spray before leaving the house. 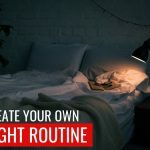 For more ideas to build yourself a morning routine that will help you get up and go, check out our tips here! This shaving cream uses two ingredients. TWO. 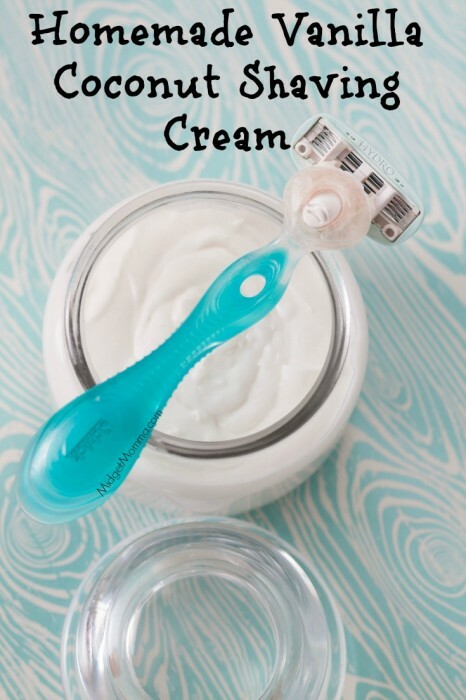 Which means your legs are two ingredients away from a natural, nasty chemical-free shave! 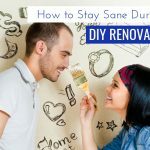 I asked you which DIY you’ll try first – well, this is my choice! 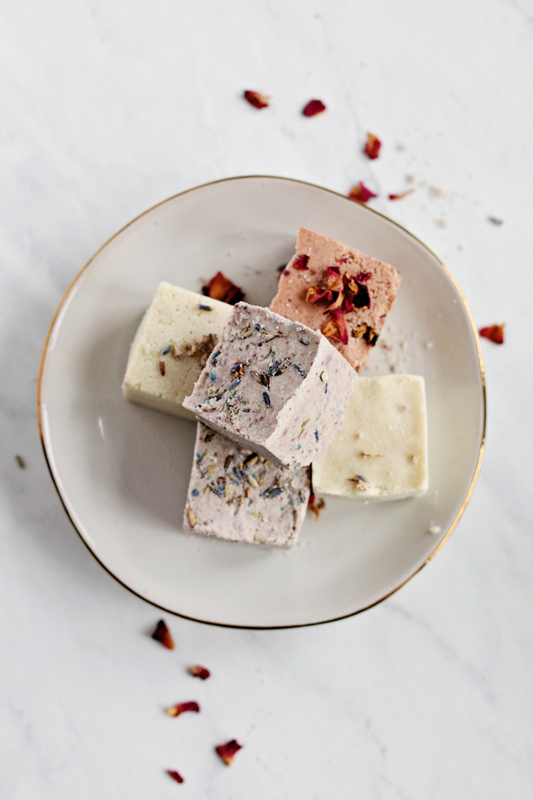 There’s all kinds of amazing info on the benefits of magnesium accompanying this DIY, so rather than me repeating it all, just check out the post here. 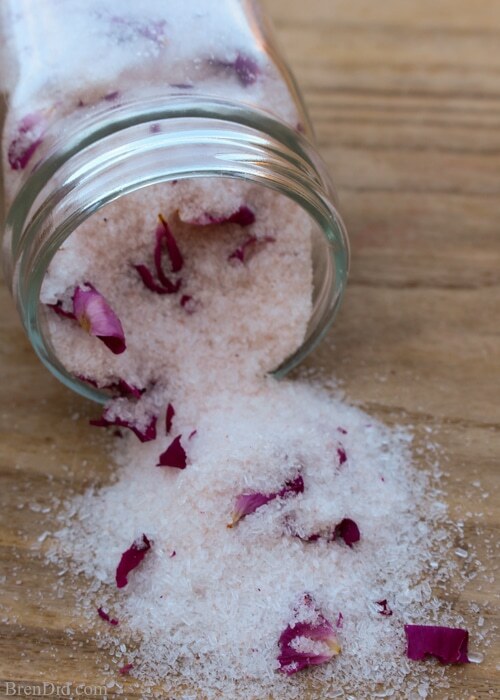 Bath salts are easy to throw together and experiment with. I personally think these gorgeous dried flower petals would be a beautiful addition! If you’re a lover of all things beauty, you might like to follow my Beauty board on Pinterest! I’m constantly pinning my best beauty treatment, product and DIY finds on there. 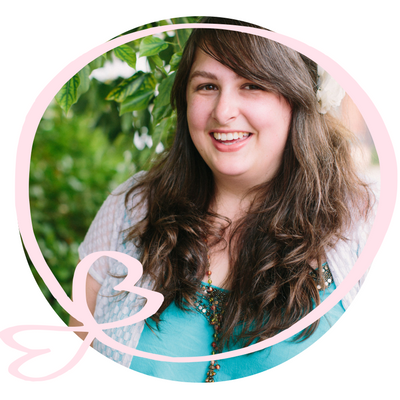 Note: It is our policy at Her Happy Heart to recommend against using essential oils, or essential oils-based product, on or around children or pregnant women. Though we currently support the widespread use of essential oils and may use them in our homes, it is currently an unregulated industry, which means that companies producing oils do not undergo the same rigorous testing and quality control that other commercial health-related products undergo, except within their own organizations. Always do your research to ensure that you are comfortable with any products that you use in your home. Apple cider vinegar… my best DIY beauty secret!